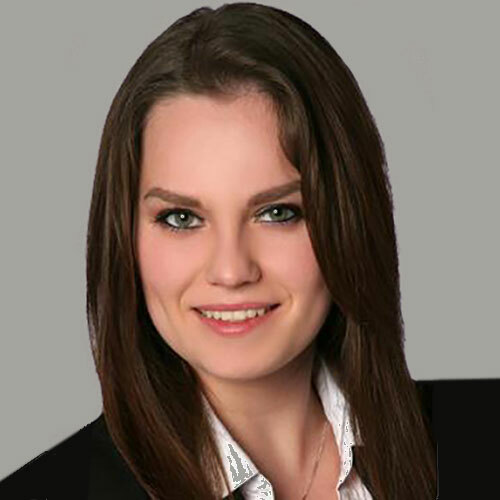 Viktoria Winkler is a BI Consultant at Braincourt GmbH. Braincourt is specialized in designing and implementing Corporate Performance Management software solutions as well as providing comprehensive project management services. Viktoria Winkler is a Bachelor of Arts in International Business Eastern Europe. Currently she works as a BI Consultant at the Braincourt GmbH. Her main areas of expertise are: BI-Strategy, Business Analytics and Reporting. 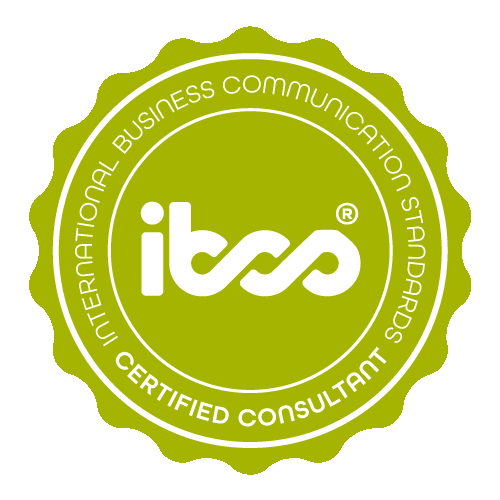 Viktoria Gumenjuk has successfully completed the IBCS® certification for successful design of reports and presentations at the HICHERT+FAISST IBCS Institute in January 2017. 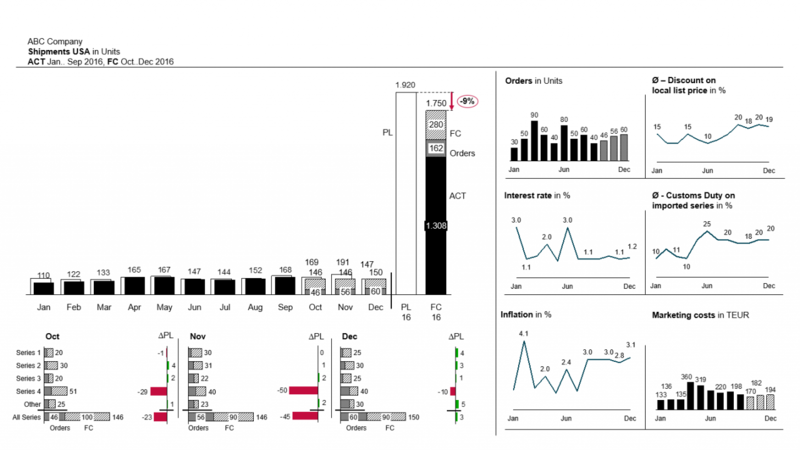 Sales Dashboard Visualization of shipments USA of the ABC company. 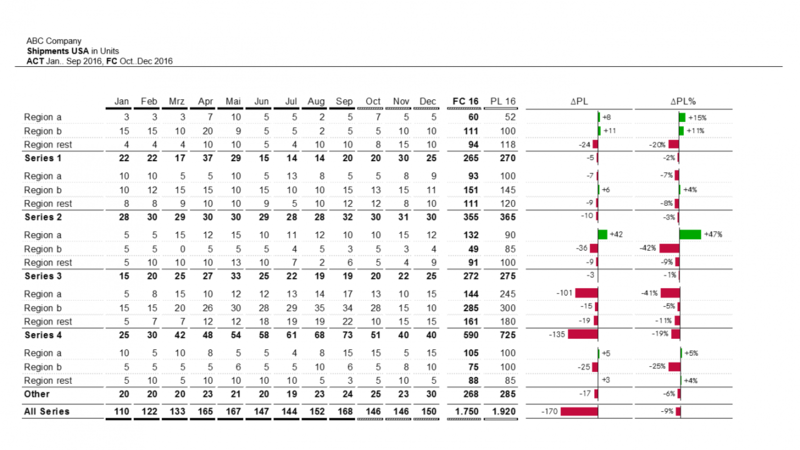 The Dashboard shows an overview of the total year with a detailed analysis of the forecast. Moreover it provides information about the main correlation factors (on the right). 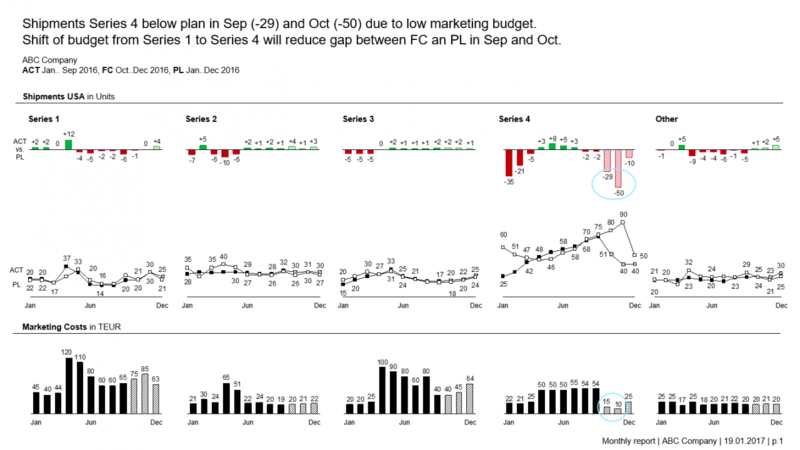 The analysis of the Dashboard clearly reveals a gap between forecast and plan in October and November caused by low performance of series 4. From this we can derive a message which is vizualized in the report on slide 3. Sales Dashboard Vizualization of shipments USA of the ABC company per series and region in tabular form. The whole work sample was made with Think Cell which is the reason why relative deviations are represented by pins. Report Vizualization of plan and forecast per series including correlations with marketing costs.